The members of the criminal group headed by Oleg Pruteanu, alias Borman, had sold drugs to Russia. The statement was made by PCCOCS and the National Investigation Inspectorate at a press conference. According to them, at least 775 kilos of hashish drugs have been trafficked, the members of the organization have received at least 20 million lei. The criminal activity of Borman orgnanization. This is a case that has previously been monitored through media sources, which is why we believe it will present a major interest to the public. A priority for the Prosecutor's Office was the investigation of criminal groups not only on the territory of the Republic of Moldova, but also with the extension of transnational crime investigations in cooperation with the representatives of the law enforcement bodies of the European Union countries in the Russian Federation. PCCOCS finalized criminal prosecution in the criminal case on the criminal activity of the Borman criminal organization late last week, and the criminal case was dealt with in court. There were 6 members of the criminal organization, other members of this criminal organization are in search, and their investigation continues. The criminal organization has started its activity in the year 2000, starting with 2012 at the direction of the leader of this organization, the route of drug trafficking from Spain to the Russian Federation was modified with the exclusion from this route of the Republic of Moldova. This is due to several catches that took place in the territory of our country. Active members and their leader have been accused of illicit drug trafficking. During the prosecution, sufficient evidence has been found demonstrating that the leader of the criminal organization during 2010-2016 organized the international drug trafficking in Russia and also the sale of drugs. Evidence has been given to confirm that at least 775 kilos of hashish-like drugs have been trafficked and have not been detained by law enforcement agencies and have been sold in Russia. As a result, the members of the organization have earned a minimum of 20 million lei. They can receive the conviction sentence from 6 to 17 years of confinement. 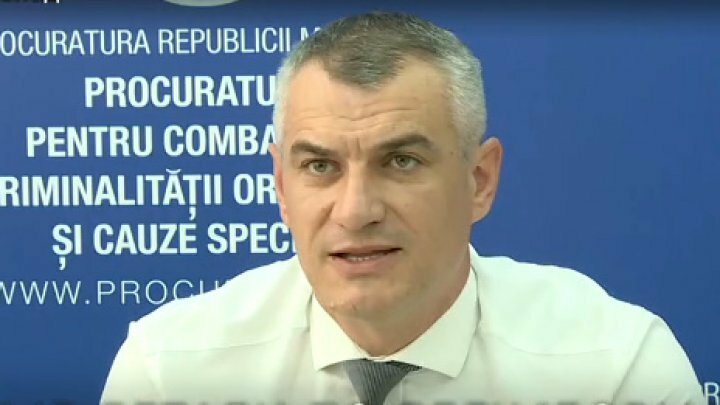 Another offense committed against the Borman group is the smuggling of incurable drugs on Moldovan territory. They are still criminalizing smuggling, earning at least 100,000 euros. Investigations have identified criminal assets worth more than 8 million lei. For illicit trafficking of drugs, they could be imposed 7 till 15 years of imprisonment, for smuggling from 3 to 10 years, for committing a crime of money laundering for a period of 5 to 10 years and for the creation or the leadership of a criminal organization, they will be sentenced to imprisonment for a period of 8 to 15 years, "said prosecutor Lilian Bacalim.